Superior Woodcraft is excited to introduce you to some wonderful new composite wood surfaces (wood veneers). These wood veneers have been developed by several outstanding designers on the international design scene. These designer veneers are simply creations that cannot be found in nature. Over the next several posts Superior Woodcraft introduce you to this exciting new designer collection of wood veneers. Our first introduction will be wood veneers designed by Ettore Sottsass. Ettore Sottsass (14 September 1917 – 31 December 2007) was an Italian architect and designer during the 20th century. His body of work included furniture, jewelry, glass, lighting, home objects and office machine design, as well as many buildings and interiors. As a young man Sottsass was called up to serve in the Italian Army. Unfortunately he spent a good portion of WWII in a Yugoslavian concentration camp. After the war Sottsass spent time in Italy, New York and traveling about the U.S. and other countries. He worked as an architect, painter, industrial designer, furniture designer and more. As you can see Sottsass’ experience were varied and far reaching. Revered internationally as a key figure of late 20th century design, Ettore Sottsass is cited as a role model by young international designers. 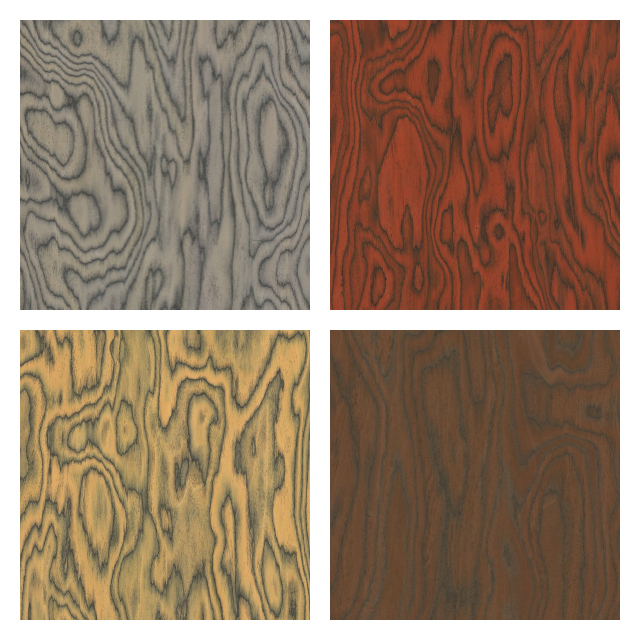 We hope that our Sottsass designer veneers can be an inspiration for your next project with Superior Woodcraft. These are truly unique. We hope that you enjoyed your introduction to the new designer veneers available at Superior Woodcraft. Be sure to stay tuned for more interesting designer veneers that will inspire you. Please contact Superior Woodcraft to commission our artisans to create a truly unique custom project that is perfect for you.